TrendsFollow.com was founded in Feb 2018. 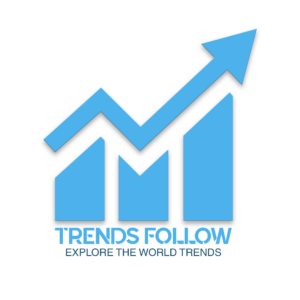 Trends Follow is a very famous platform which gives you trending news, celebrity NetWorth, entertainment, trending fashion and Technology news. We provide you with the latest breaking news and videos straight from the entertainment industry. If you are looking for the latest net worth and the latest monthly income/salary of your most favorite celebrity personality or you want to stay up to date on all the most trending and expensive products, houses, jewelry, Lifestyle and gizmos in the world, TrendsFollow has you covered. Trends Follow provide you very simple English language content and trending materials. For any issues regarding advertisement, copyright issues or ideas sharing, you can also contact us feel free. You can contact us directly through our contact page.